Welcome to the 3rd annual FiredUp5K10K! 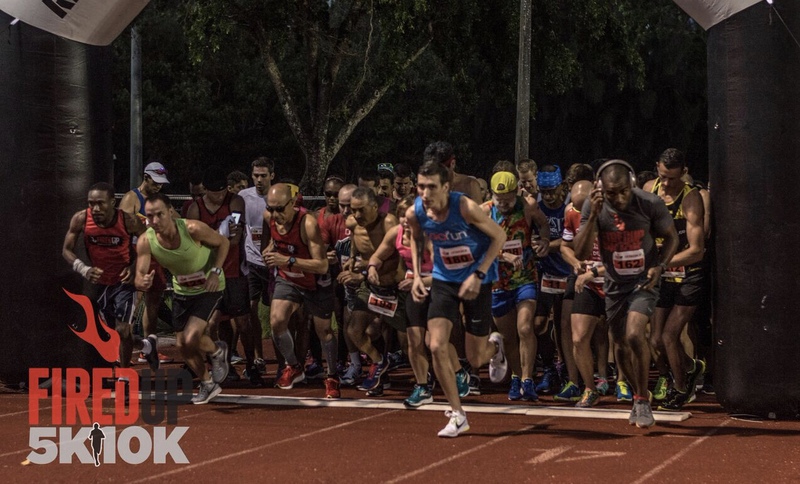 This Certified Course is one of the most unique races in South Florida and has been rated one of the TOP races in South Florida! Starting and ending on a beautiful track, this course is all set up for your Personal Records and all you have to do is show up and run or walk your heart out! FiredUp5K10K will be on Sunday, October 14th, 7am start for both races. Finisher medals for everyone, Cash prizes for top male and female for 5K and 10K. Prizes for 2nd overall male and female for 5K and 10K. Registration includes Dri-Fit shirt, a finisher medal and a bag along with many goodies and discounts from sponsors. Portion of profits go to Saint Jude.